Although I live in Colorado, I’m really not a big winter person. But when you live in the Rocky Mountains, playing in the snow becomes a part of your DNA. As a single mom, I always pointed my SUV west for a family ski vacation. Now that our clan has grown to include grandchildren, our multigenerational winter tradition is hitting the ski slopes. With so many different ages and multiple families, a condo is key to our successful family ski vacation. Read on for reasons why! I’m a believer. Family vacations are memory makers and relationship keepers. Since we live in metro Denver, Colorado’s amazing ski resorts are as little as an hour away. 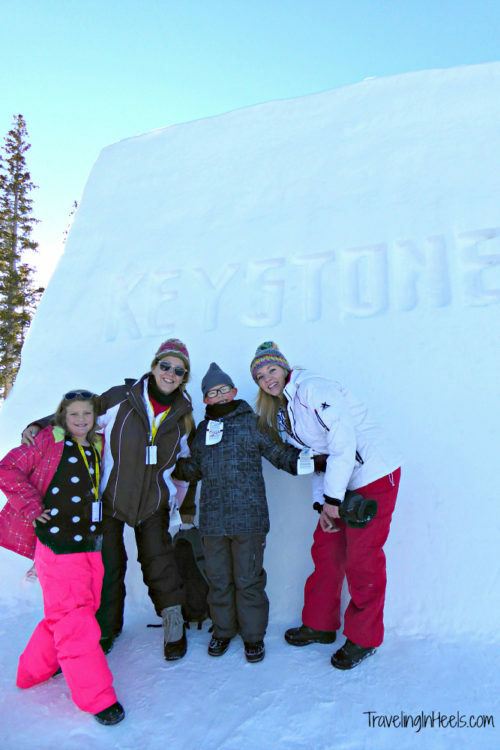 Every winter, we plan a fun-filled multigenerational family ski vacation. We are all busy, so it’s difficult to get our schedules together, but when we do, we feel that staying together in a private condo is the key. Here are the reasons why – and we think you’ll agree! As Colorado residents, we are more than familiar that the traffic on I-70 to the ski resorts can be a stop and go nightmare. To really get a full day of skiing in, we would have to leave at o-dark-hundred, way too early for this Traveling Grandmom. We can unload and unwind after the drive. Our family can kick back together in our room. 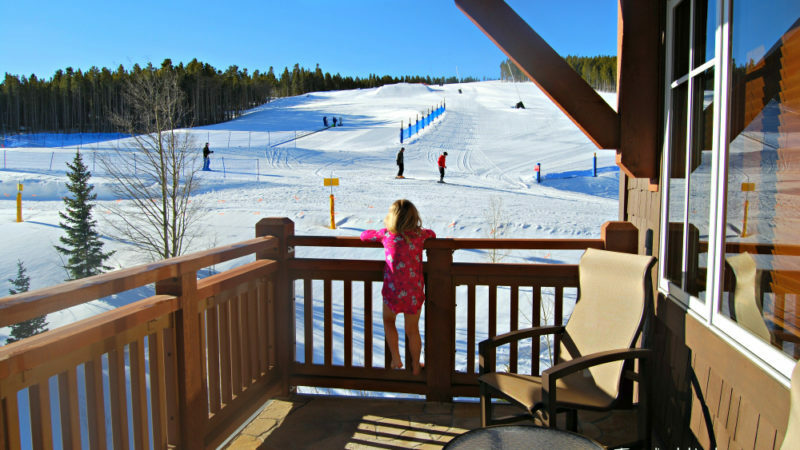 And most importantly, ski condos are convenient to the slopes, sometimes even ski-in/ski-out, like our family experienced when we stayed at One Ski Hill Place in Breckenridge. We can check in the night before, get our rental equipment, get the lay of the land, and get some rest. In the morning, we are minutes from the slope and a fun-filled winter day or two. 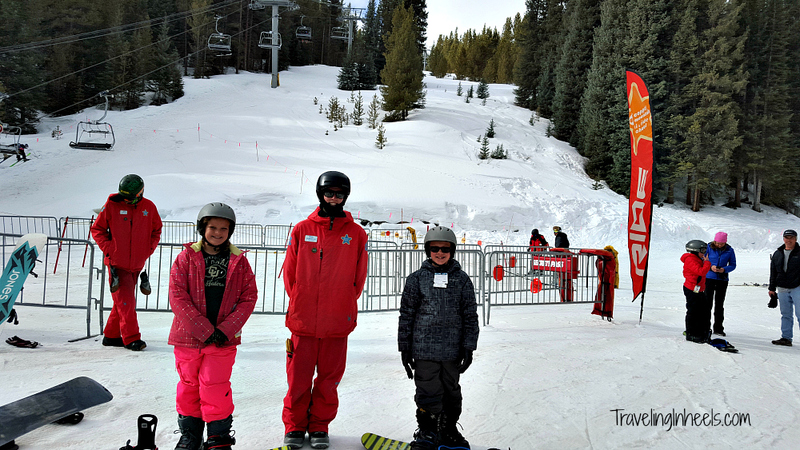 Since we no longer hit the slopes (preferring snowshoeing or walking around the mountain villages), we can grab a cup of coffee and walk the grandkids to their snowboard or ski lessons. We also have the option of returning to our condo and relaxing. 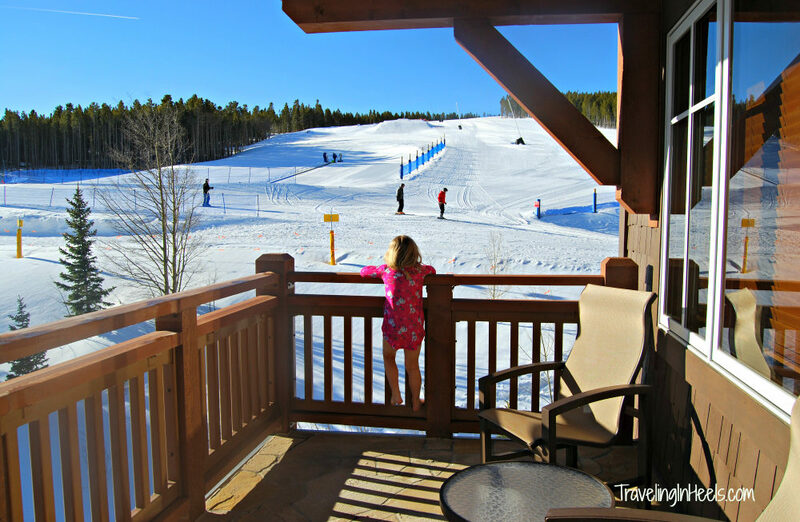 One of my multigenerational family travel tips is to “balance your family time with your ‘me’ time.” Booking a condo for your family ski vacation gives you lots of space. Condos are usually larger than standard hotel rooms AND include at least a kitchenette. Some include full kitchens and dining areas. Choose from a studio condo to condos with multiple bedrooms. Condos include living space, so the family can watch TV, play board games, and more. Getting in each other’s space? 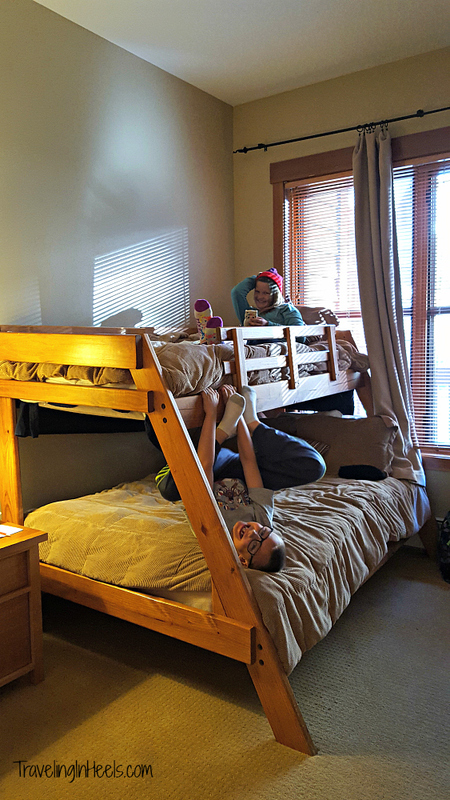 No problem in a condo as the kids and the adults can take quiet time in their own rooms. Let’s face it. Lift tickets, snowboard or ski equipment rentals, dining out, flights, rental cars – oh my! The possible expense of a ski vacation can be exorbitant. 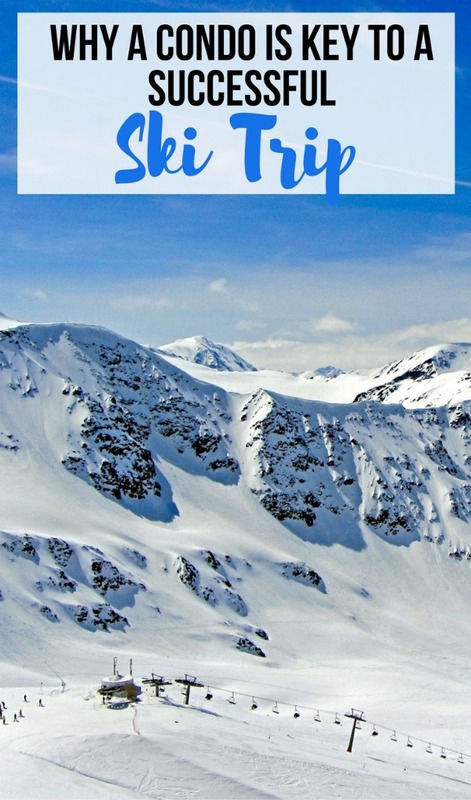 We have to stick to a budget as both time and money are important components to consider when booking our family ski vacation. Choosing a condo for a family ski vacation saves money. With a condo stay, you get a fully equipped kitchen (or kitchenette). Feel free to shop at home (if like us you live in Denver), or take your shopping to the local grocery stores. Stock your refrigerator. For adults, make a stop at the liquor store. 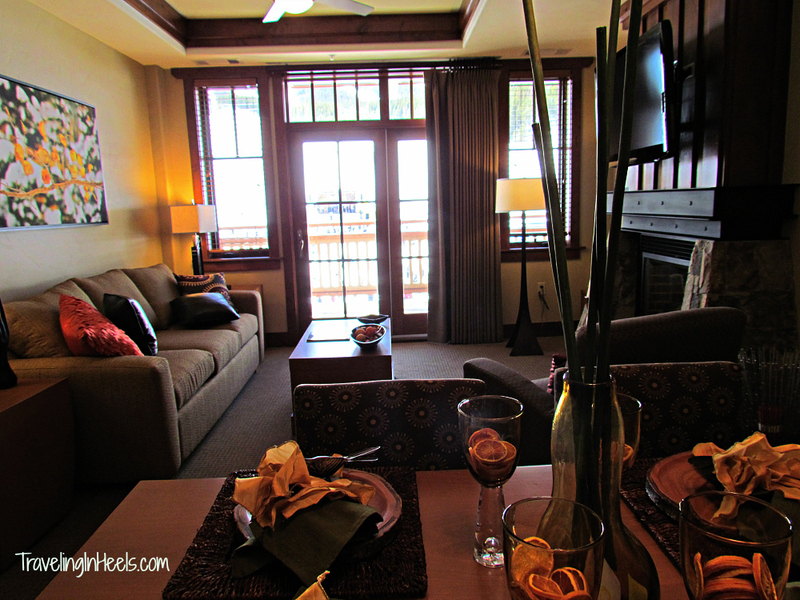 Several of our family ski vacation condos have included amazing amenities and services. Take a dip in the pool or soak in the hot tub (sometimes, even IN your condo!). Late night board game challenges while gathered around your living room fireplace. Bowling alley and game room (thank you, One Hill Tree Place, Breckenridge). S’mores, hot chocolate, and outdoor fire pit? Check. Like a hotel, checking into a condo often gives you optional services, such as on-site restaurant, fitness center, business center, spa services, and more. A ski vacation is all about the mountain, right? But there’s more to your family ski vacation than the mountain experience. Vacatia is all about the vacationing family, providing dozens of ski condos in multiple resort areas (Aspen, Snowmass, Breckenridge, Keystone, Copper Mountain, Park City, Whistler…). And Vacatia membership is free. Yep, no annual fee. Free. I’m sure most Moms will agree – my family is THE most important thing. And their safety is my priority. 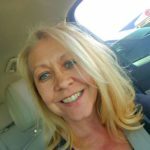 Sometimes when I travel solo, I might be a bit more adventurous in where I choose to stay than when I’m traveling with my grandkids. To me, booking a private condo is too uncertain. Sorting through dozens of websites and hundreds of listings is time-consuming. Communication and negotiation with an unknown owner, then “trusting” that your payment will result in a decent condo is stressful. Landing at the destination and then “trusting” that your condo will be what the pictures look like – if you can find the hidden key. Not for me. I prefer to go with a trusted and vetted resource. But with Vacatia, the experience only begins at the booking. While I was searching online for Colorado condo options, I clicked the option to chat with an online customer service representative. She was friendly, not pushy, and offered many options, all within seconds. I was even told that I could lock in rates by placing reservations on hold for 72 hours – again for FREE. As part of your FREE Vacatia membership, you receive complimentary travel protection. AND for those families who need a little time to pay for their vacation, Vacatia offers book now, pay later options, such as Flex Pay (down payment with scheduled interest-free payments). Booking a condo for your next family ski vacation can be the difference between a good trip and a ski vacation that you’ll never forget.